Want a metric for the speed of U.S. government? Just look at the response to Google Street View cars' accidental collection of private data. On Wednesday, U.S. 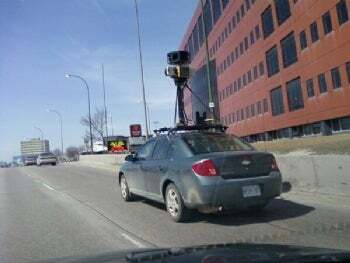 Lawmakers started showing some rage over the incident, in which Google admitted that its Street View photography cars around the world inadvertently collected private communications data from unsecured Wi-Fi networks. U.S. Reps. Joe Barton and Edward Markey have asked the Federal Trade Commission to investigate whether the privacy breach broke the law. Google says this was due to some old code from an experimental project, and acknowledges its mistake. Meanwhile, Ireland has already moved on by letting Google delete the data. The U.K.'s Information Commissioner's Office has decided not to pursue the case once its citizens' data is deleted.